I recently got an opportunity to write a review for Micky London. I would start with the little introduction behind the brand Micky london is a brand was launched in 2009 by brother and sister, abba and kabir 'Micky' Manchanda. This dynamic brother sister, are the innovative and entrepreneurial duo, behind this exciting, fast-growing fashion house. They believe their entrepreneurial spirits and family background in fashion, generate the success behind their startup brand. 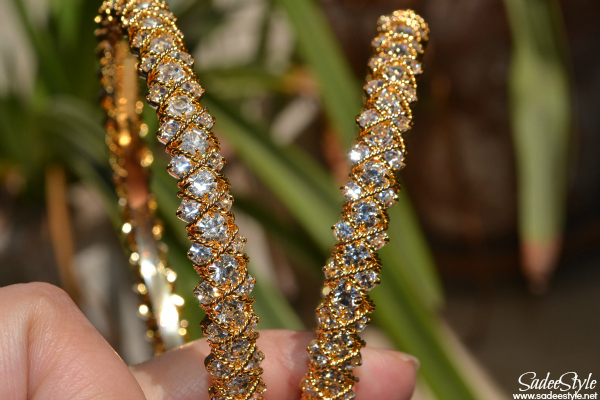 I'm amazed to see the high quality of the bangles made with finest stones and high quality metal. I was not aware the quality until these bangles got stuck in custom office suspected as a real gold jewellery. There is an interesting story behind it. The custom office claimed them as a real gold jewellery and was asking a heavy tax charges. After the huge debate and argument, I finally convinced them that these are not made with real gold, but still the called an expert to confirm if these are not made with real gold. So after the chemical examination they declared it an artificial, but the gold expert was also amazed to see the quality of the bangles. Overall, I'm very delight and happy to review such a beautiful jewellery. 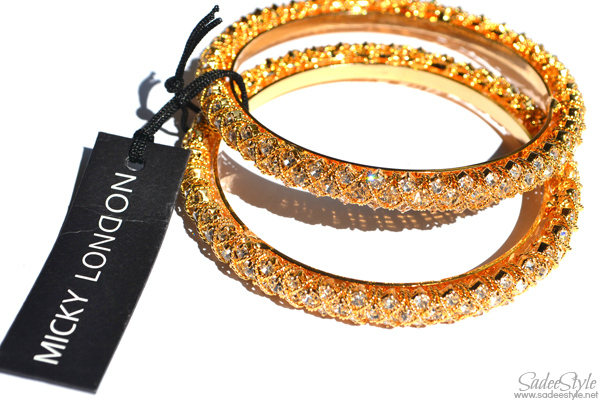 It's really an incredible pair of ultra gold shine bangles and available in very affordable price at Micky London. Micky London accessories can be found in Nordstrom, Anthropology, and Bloomingdales, Sephora just to name a few of their latest collaborations. Made with finest quality metal and rhinestones. Highly recommended for the girl who love wearing gold jewelry. Un placer llegar hasta tu sitio, te dejo un fuerte abrazo desde Uruguay! gold bangle haviong Delicacy and light weight finish made from copper and plated with gold. 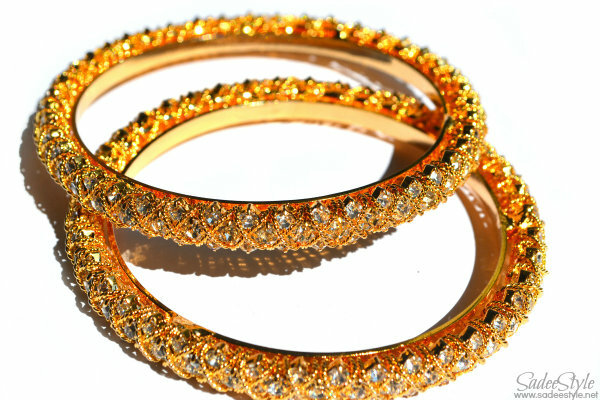 Looks like real gold bangles and in gold designs. Ideal for daily use as well as party wear are available online on many sites from where user can easily purchase from their choice.